Property 3: Studio facing the sea, panoramic view over the bay of La Baule. 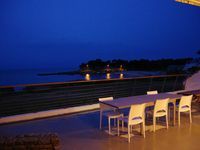 Property 7: Hyper center of Pornic, Old Port, spacious Townhouse with 2 bedrooms. Property 17: Studio 4 pers. Face sea without road to cross. Separate bedroom for children. Ideally located between beaches, Golf and town in a private property. Property 23: Ideally located between beaches, Golf and town in a private property. HEADING FOR WEST, ON THE EDGE OF THE BEACH. Property 31: HEADING FOR WEST, ON THE EDGE OF THE BEACH. Property 36: Saint Hilaire De Riez (85) Studio - Sea view - for 4 pers. 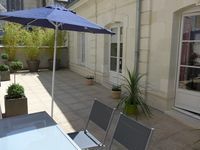 Property 47: 4 **** cottage in the heart of Saumur. Private garage, large terrace. Wonderful apartment, bright spacious great kitchen, large terrace right in the middle of town. Perfect. Great hosts.